Having begun lessons at St. Malachy’s College in his native Belfast, he studied with Janet Bloxwich and Alan Warhurst at RSAMD and graduated with a BMus (Hons) in 2007. He was awarded the Gill Culpin Award for postgraduate study at the Royal Academy of Music, where he studied with David Chatterton, Gareth Newman and John Orford, completing a Master of Arts in 2009. Coming from a large musical family, he has known music from an early age and began playing traditional music at the age of 7. Through his early experience with the National Youth Orchestra of Ireland, he grew to love the potential music has to bring people together, and to that end enjoys solo, chamber and orchestral music in equal measure. Éanna continues to build his career as an orchestral musician and has performed to date with Camerata Ireland, NI Opera, RTÉ Concert Orchestra, Royal Scottish National Orchestra, Scottish Opera and the Symphony Orchestra of India. 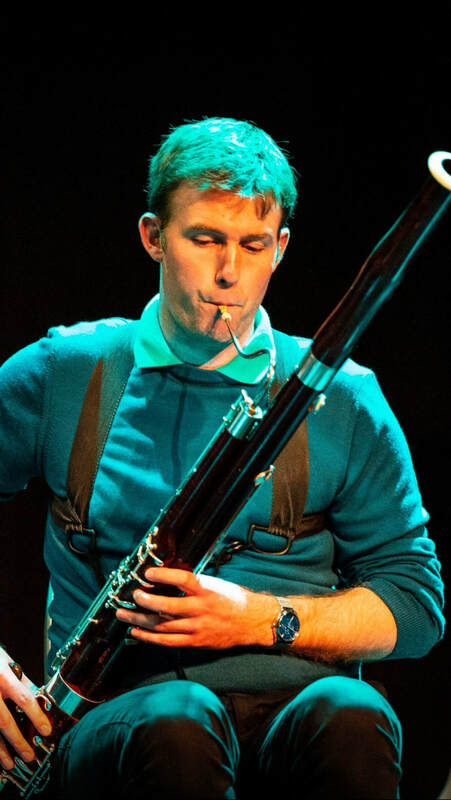 He has worked with leading musicians including Barry Douglas, Yan Pascal Tortelier and Ilan Volkov, and as soloist and chamber musician he has performed regularly in Ireland, the UK and Europe. He was awarded the Young Musicians Platform Award by the Arts Council of Northern Ireland in 2008, which led to a performance of Gordon Jacob’s Bassoon Concerto with the Ulster Orchestra the following year. Eanna continues to travel abroad for lessons with Valentino Zucchiatti and Laurent Lefevre. Éanna gratefully acknowledges the support of the Arts Council of Northern Ireland, the Loan Fund for Musical Instruments, The Finzi Trust and Muintir Bhéal Féírste.